These samples help to create career prospective resume of managers. 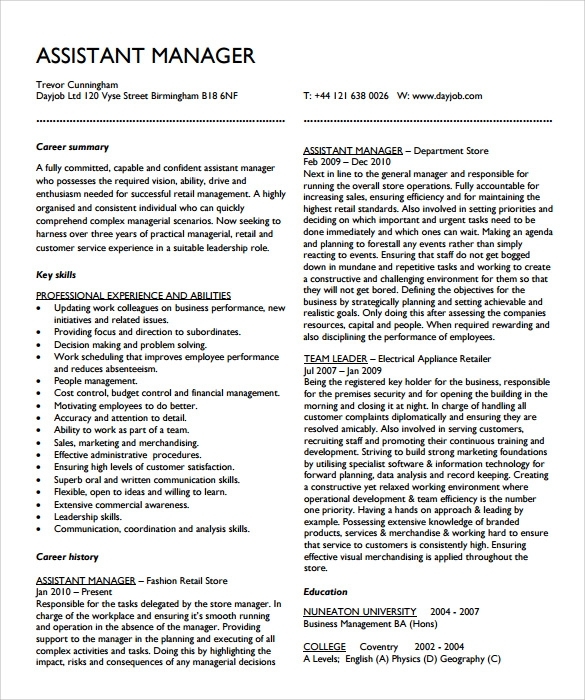 The assistant manager resume explains the details regarding applicant’s personal bio-data, qualification, achievement and skills. These are accessible in PSD, Word and PDF formats. In creates an effective impact on interviewer. 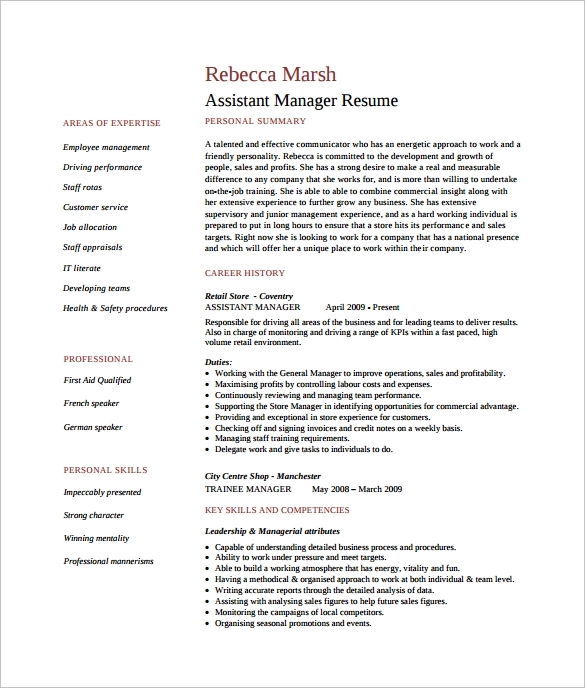 Here are some of the best assistant manager resumes templates. 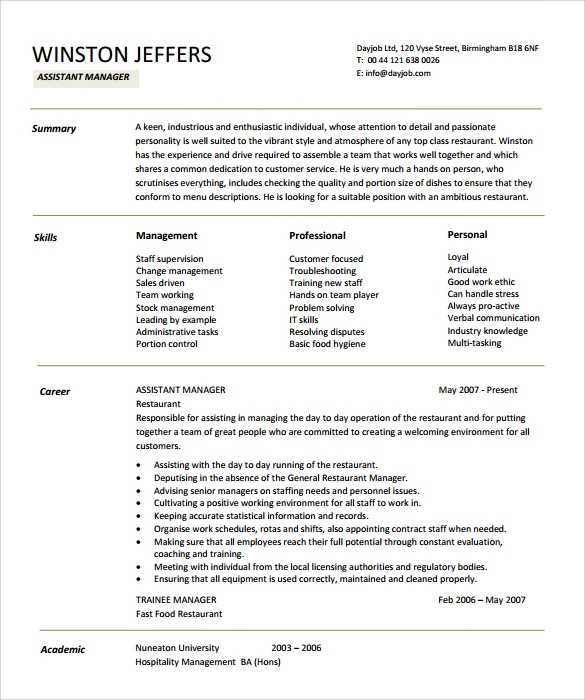 You may also like Product Manager Resume Templates. These resume are suitable for those who intend to work with General Managers to improve operations, sales and profitability of the company. It also involves continuous reviewing and managing team performance. 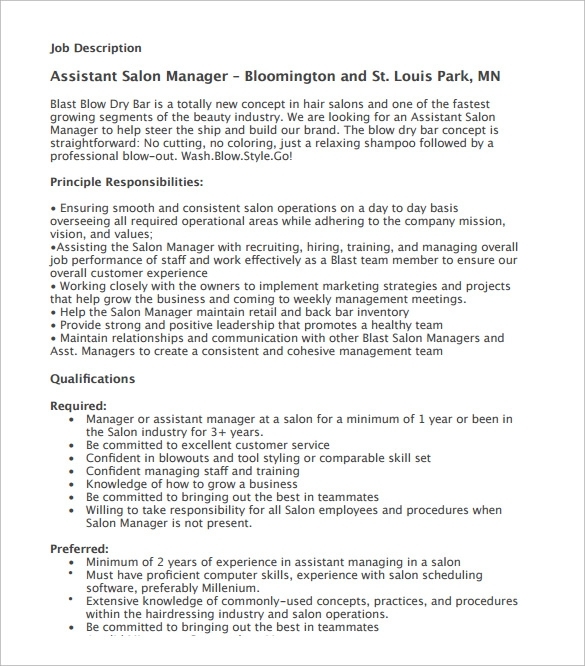 This requires an effective communicator who has a friendly approach and energetic personality. 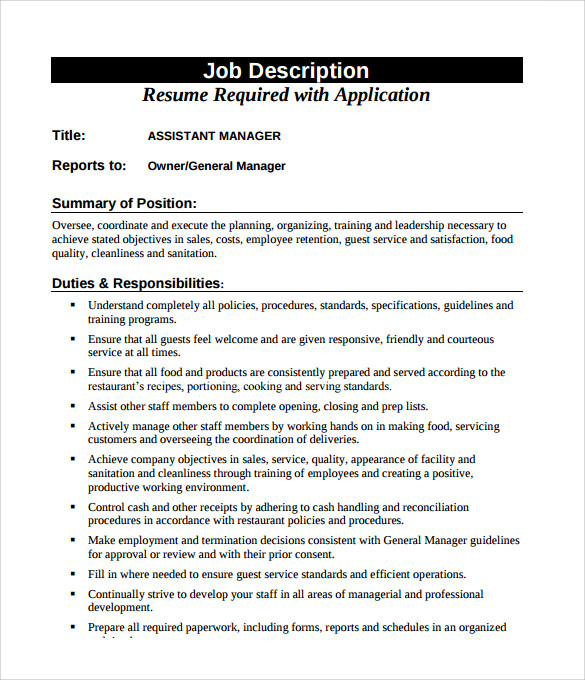 This assistant manager resume template includes specifying the details of the assistant manager that is suitable for the applicable post. It specifies all the professional experience and ability. It informs about the leadership quality, managing ability and other features that a person possesses to be eligible for the designated job. 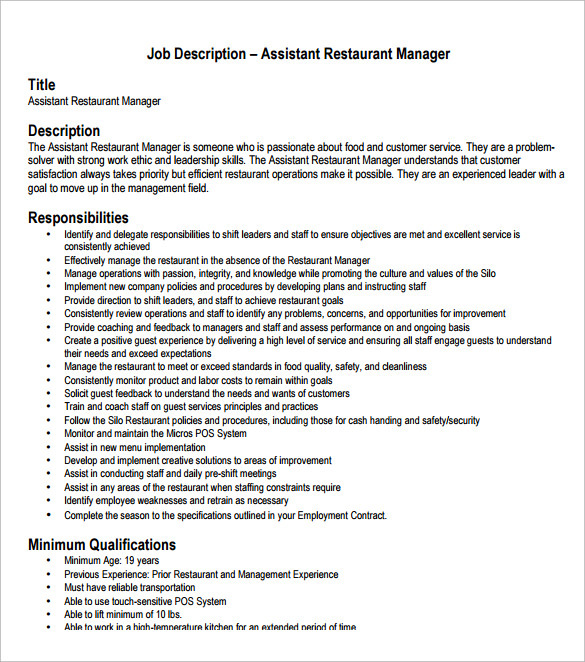 These resume are suitable for those who assist in day to day running of the restaurant. It describes about the skills, career and academic qualities that the applicant possess. It also describes about the professional skills, managing ability of the person that is suitable for job. Suited best for those who are related in administration of the company, these resume template serves well for those who have lot of experience in this field. They are been assigned with handling of the clients and managing other team members within the company. These resumes consists lists of qualifications that the applicant possess. It also includes information about the public relation, communication, leadership and other skills that are necessary for effective running of the company. These assistant manager resume templates consists of list of works that are been done by the assistant manager of the particular company. Giving preferences over certain criteria like work experience, public and colleague relation with technical and computer skills. These further show the quality of leadership, team management for bringing out the best among the teammates. 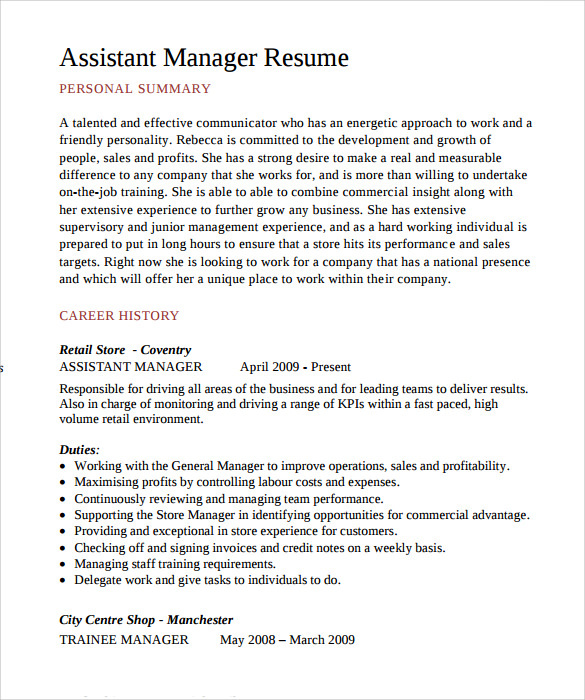 These resume are designed for those who want to apply for management related jobs. Applicants applying for such jobs are highly skilled professionals that manage the company. Such template makes the resume more creative yet informative giving a nice impression on the interviewer. People who are excellent in co-ordination, executing plans, organizing and possess a great leader quality find these resume templates best suited for them. 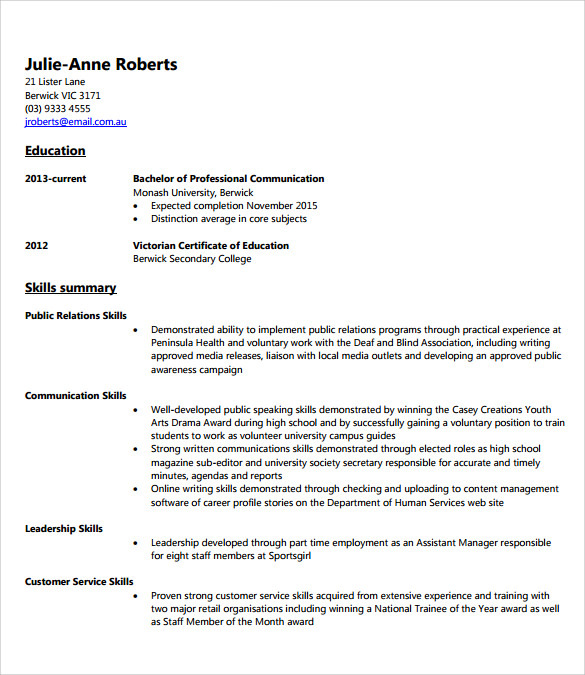 These makes their resume looks informative as well as gives it a decent look. These are best suited for those who are passionate about their work with great ethics and leadership qualities. A person who understands that customer satisfaction can only be achieved by effective functioning of a company. With an experienced leadership quality and a goal to move up in management field, these posts surely has a lot of responsibility on its shoulder. 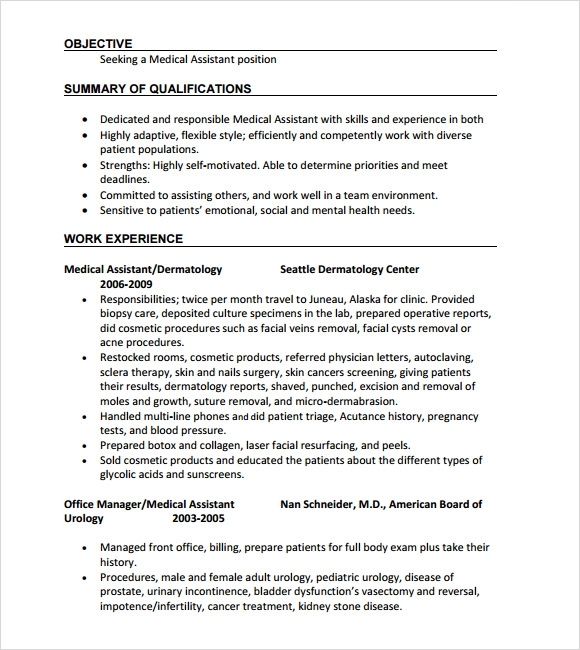 These resumes include the area of expertise of the applicant. Featuring information related to professional and private skills, key leadership qualities and other making public relations makes it suitable for retail marketing. It also includes information regarding the capability and ability of the person to work in case of emergency and also requires dynamic nature of the spokesperson. 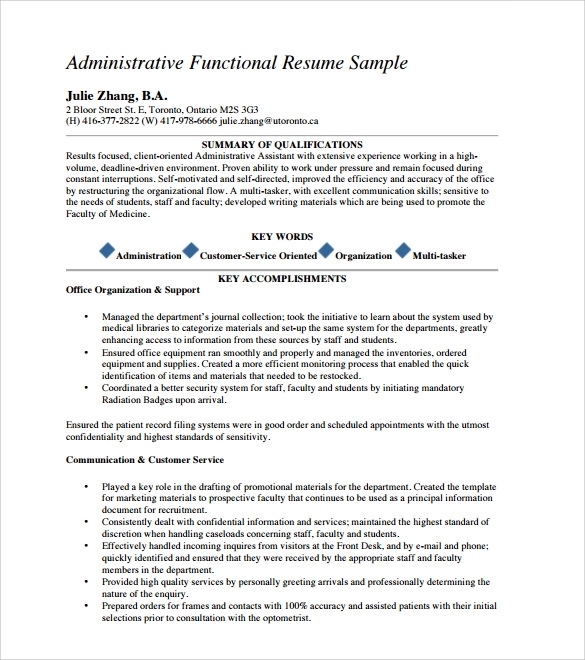 The assistant manager resume template makes the work of hiring committee of the esteemed company easy by assisting them in selecting the best candidate available for a particular job.